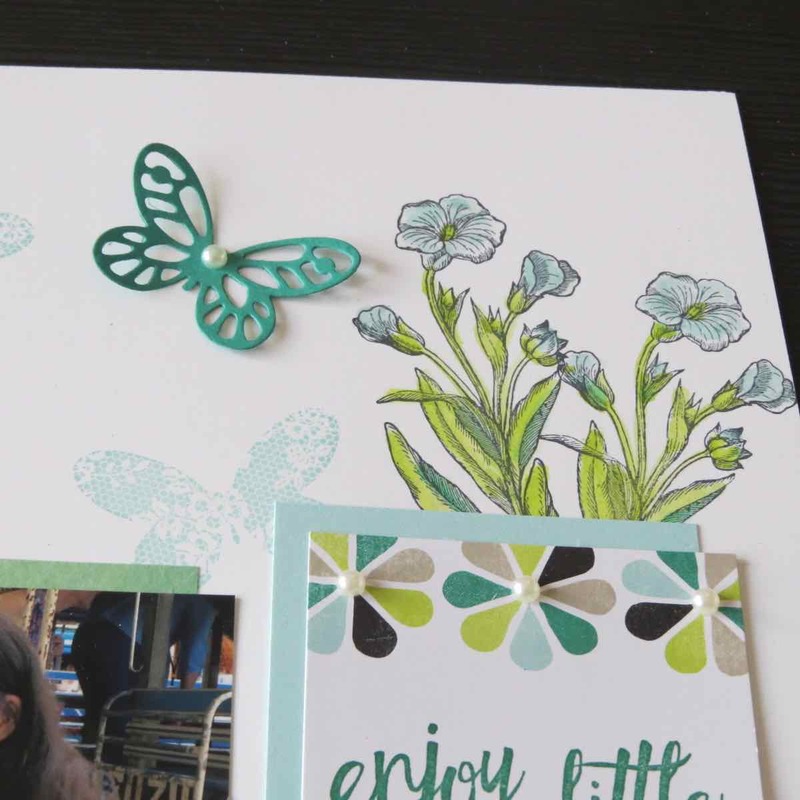 Karina's Kreations: Goodbye Butterfly Basics! 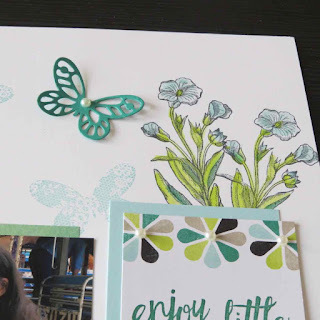 I'll be sad Butterfly Basics is retiring and along with it, the Bold Butterfly Framelits. This is one of my favorite sets and I created this pretty page for Wednesday night's scrapbook class using it. These pictures were from the Stampin'Up Thiland trip last year. It was the first time my daughter was able to come on a trip with me. I colored in the flower image with an aquapainter and Pool Party, Lemon Lime Twist and Emerald Envy ink. To order supplies to make this page, please click on a picture below.